Professional Visual Effects and Content-Rich Libraries. Start rapidly with a cross-functional flyer design software and create a stylish and exquisite flyer with beautiful templates and attractive design elements. The professional flyer maker lets you create whatever styles you want without drawing skills and tastes. Massive templates are offered to explore you own inspirations in designing the flyers of different usages. 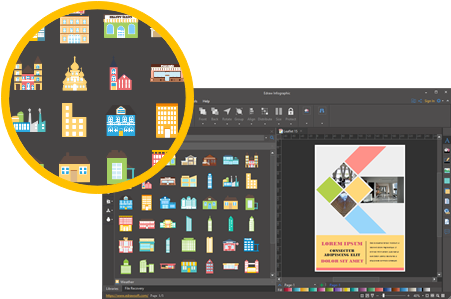 Drag and drop to replace the icons, cliparts, symbols of templates and reset text to your ideas, or you will get a flyer of your inspirations quickly. Myriad colors, shapes, icons, symbols and clip arts make it easy to design an attractive flyer of different usages. 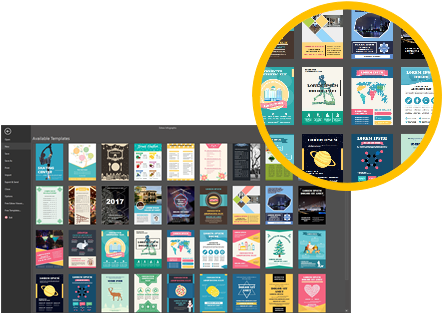 Whatever types of flyers you intend to create, for business, for marketing, for personal, and for recreation, you cannot imagine how many separated elements are there in libraries which Edraw Infographic has prepared. Libraries will not limit your inspirations as you can create a new library of what you need. 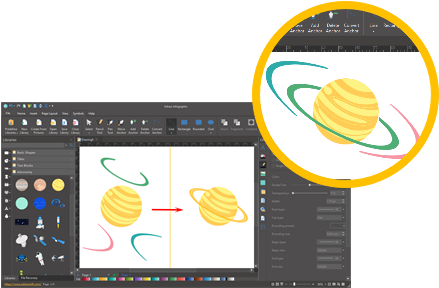 Special tools like pencil tool give you a choice of drawing anything in your mind related to flyer element by yourself. Create any quick thoughts in your mind freely without constraints to customize you own flyers. Export for printing and share the flyers you create after finishing designing process. Edraw Infographic offers you many options for exporting and sharing. 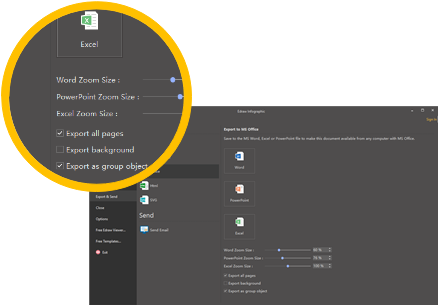 Click Save as or Export and Share to keep in formats as JPEG, SVG, PNG, BMP, PDF, HTML, PS, EPS, GIF, Word, etc. Download This Flyer Software for Free! 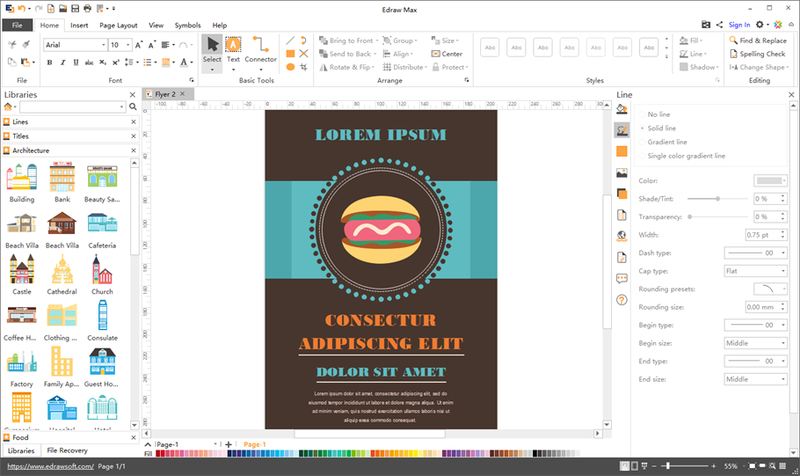 Download this awesome flyer maker software now! We offer a free trial for 30 days. Any questions and suggestions of this program can be sent to support@edrawsoft.com. Your good advices will be appreciated.